HEY Solicitors are a law firm based in Ely, Cambridgeshire. They have been a client of DPS for over a decade and, thanks to Karl Irons, the firm’s Managing Director, have been using a bespoke case management system, specifically tailored to their requirements. Their telephone-connected system, enriched with marketing capabilities proves the flexibility of the DPS Outlook Office case management software as well as our client’s innovative approach to technology. As Karl Irons explains, the development capabilities of the DPS system are only limited by one’s ability to think of different ways of using it. In this video interview, Charles Christian, former barrister, Reuters corespondent and legal technology journalist and Karl Irons delve into the firm’s prolific use of technology. As Karl explains, their software was customised to suit the way they’ve been working for years. Charles and Karl address different business matters such as compliance, recruitment, training, time recording and customer service and explain how technology underpins all these aspects of the firm and how it drives the business. 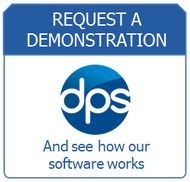 Learn more about DPS Outlook Office by downloading our brochure.